Dan is a Partner and Shareholder in Barshop & Oles Company as well as an investor and partner in its various projects. 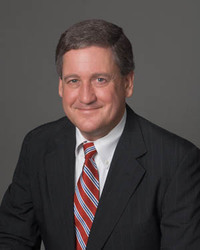 Since joining the company in 1988, he has been responsible for the leasing and marketing of the retail portfolio in Austin, as well as the land acquisition, leasing and development of the retail portfolio in Houston. Dan has been responsible for the leasing of several very high profile retail properties in the Austin area on behalf of both private and institutional third party owners, including La Salle Investment Management, L & B Realty, Invesco, Bentall Kennedy, AEW, BlackRock, Sarofim Realty Advisors and HEB Grocery Company. Included in these projects are some of America's leading retailers including HEB Grocery, HEB Central Market, Williams-Sonoma, Talbots, Ann Taylor, Regal Cinema, Gap, Randall's Grocery, Sprouts Farmers Market Grocery and Barnes & Noble. In addition, Dan has been responsible for land acquisition, development entitlements, and retail development activities for multiple projects in the Austin market, and has assisted in the asset management of the BOC retail portfolio. Prior to the 1996 opening of the San Antonio office, Dan was responsible for the leasing of the retail portfolio in San Antonio, including the major tenants in the initial phases of the highly successful Northwoods Center located at U.S. Highway 281 and Loop 1604. Major leases completed by Dan include HEB Grocery, Kohl's, The Home Depot, Barnes & Noble, Regal Cinema, Old Navy, Pier 1 Imports, Sports Authority, Stein Mart, Alamo Drafthouse Cinema, Michaels and Office Max.